Kylian Mbappe has been compared to Brazil striker Ronaldo – but he could he be even better? There was no Neymar and no Edinson Cavani for Paris Saint-Germain at Old Trafford but there was never a problem with Kylian Mbappe spearheading their attack. Mbappe is already a World Cup winner so it would be remiss to suggest he established his reputation as one of the most clinical marksmen in the game on Tuesday but something about his performance without his two strike partners felt significant. He thrived centre stage and marked the occasion with an appropriate landmark; his second-half strike was his 14th Champions League goal in 24 games, moving level with the amount that legendary Brazil striker Ronaldo managed in 40 appearances. The similarities between the two are endless – frenetic pace, ruthless finishing and mesmerising close control blended with tricks and flicks that could confuse the sternest of defenders. Former Manchester United man Rio Ferdinand, who endured a torrid evening against Ronaldo of Real Madrid at Old Trafford in 2003, was quick to underline the parallels but through a different attribute. 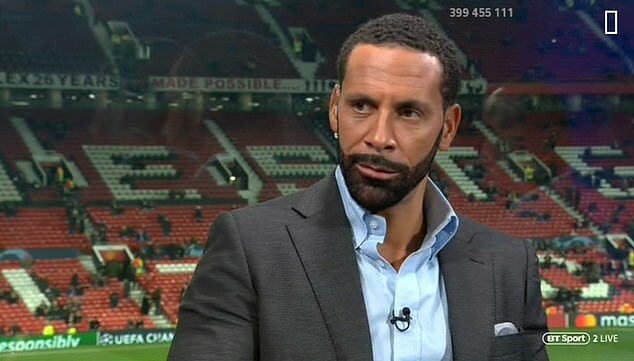 ‘This is what you come to watch,’ Ferdinand said on BT Sport. ‘I think he is the nearest thing I’ve seen to Ronaldo, the Brazilian one. ‘If you watch these clips here, every single clip his first touch is what sets him apart. Forget about his pace, his skills, his goals, but his first touch. ‘This is what sets up all of these opportunities, his first touch. And for a kid so young to have this already. 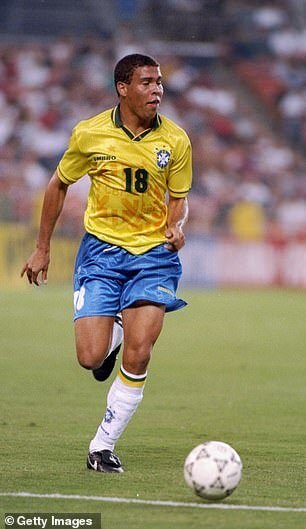 He won the World Cup at 19 years old. For Ronaldo, though, there is a wistful sense of what could have been in his career despite all that he achieved. Had he not had to battle fitness issues caused by knee problems, he could have reached even greater heights. 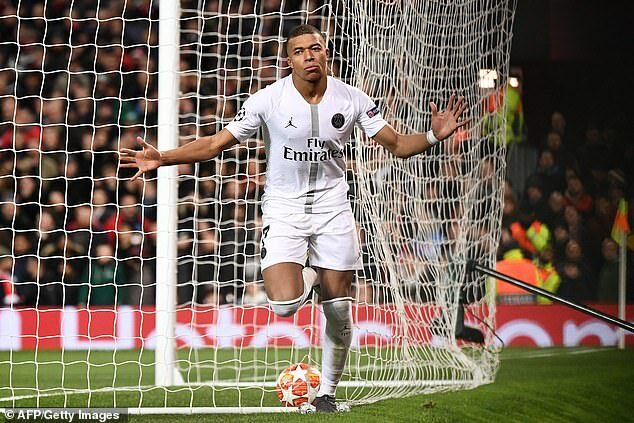 The sense of what could be for Mbappe, however, is a different one filled with anticipation and fuelled by nights like that at Old Trafford. 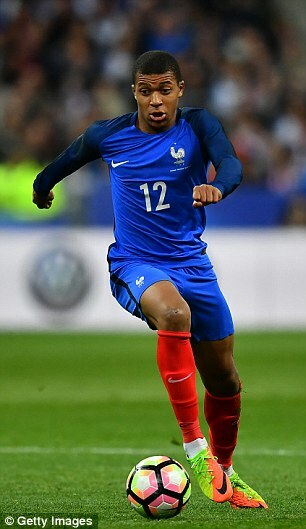 Mbappe, like Ronaldo, made his professional debut at 16. Ronaldo’s bow was at Cruzeiro in 1993 and he scored 44 goals in 47 games, prompting a call-up for Brazil’s 1994 World Cup squad. He didn’t play as his country won the tournament for the fourth time. His time, of course, came four years later at the age of 21. By then, he was an Inter Milan striker via two goal-laden seasons at PSV Eindhoven, another at Barcelona and a World Player of the Year award. A world record £27m transfer took him to Serie A and he headed to France for the 1998 World Cup in prodigious form, with 25 goals in his debut season. There, he propelled Brazil back to the final with four goals and three assists but had a health scare shortly before the final against hosts France. A seizure had made him a major doubt to play and while he convinced bosses he was fine to compete, it was not the same player who lit up the tournament. Brazil lost 3-0. Mbappe, meanwhile, truly caught fire the season after his debut. He fired 24 goals in 44 as Monaco surprisingly made the Champions League semi-final and won Ligue 1. His France debut came that same season in 2016-17. His scoring exploits, like Ronaldo, earned him a big-money move to Paris Saint-Germain that was first a loan in 2017-18, before turning permanent the following summer in a £162m switch. 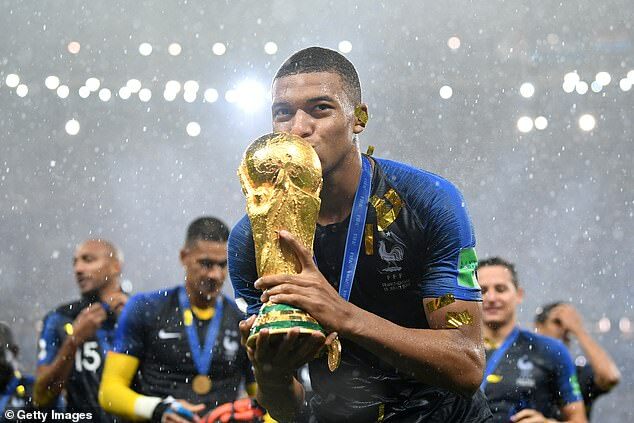 Mbappe went one better than Ronaldo at his first World Cup, helping France to win the tournament for the second time and scoring four times. He hasn’t let up since – his goal against United is his 24th in all competitions for club and country this season. Ronaldo led Brazil to World Cup glory himself in 2002 and scored twice in the final. He then moved to Real Madrid and won La Liga twice but his final two years were blighted by fitness and weight issues. He returned to Italy with AC Milan in 2007 for 18 months, were he couldn’t shake off his knee problems. He moved back to Brazil in 2009 and signed for Corinthians and eventually retired in February 2011, conceding injuries having their way. ‘Mentally I wanted to continue but I have to acknowledge that I lost to my body. The head wants to go on but the body can’t take any more. I think of an action but I can’t do it the way I want to. It’s time to go,’ Ronaldo said. For Mbappe, it seems that only injury can derail his career. He already has one league title with PSG and another is all but confirmed. He may have the career everyone felt Ronaldo was destined to have.